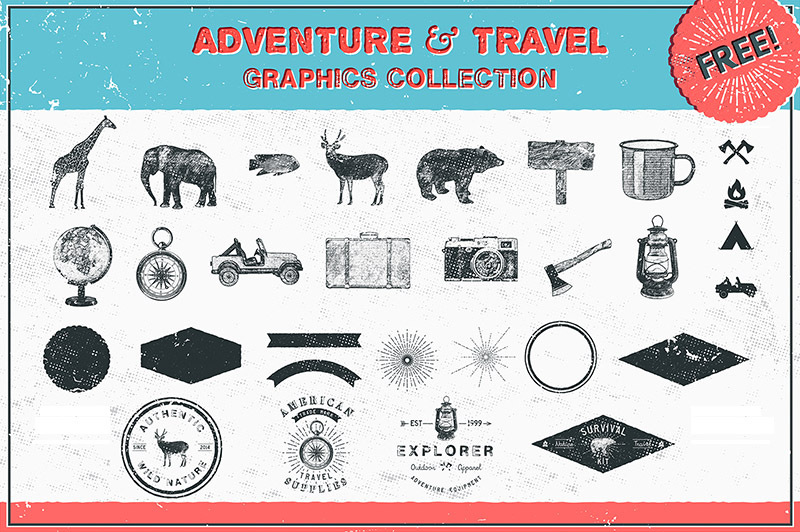 Free Adventure and Travel Shapes & Logos - Dealjumbo.com — Discounted design bundles with extended license! 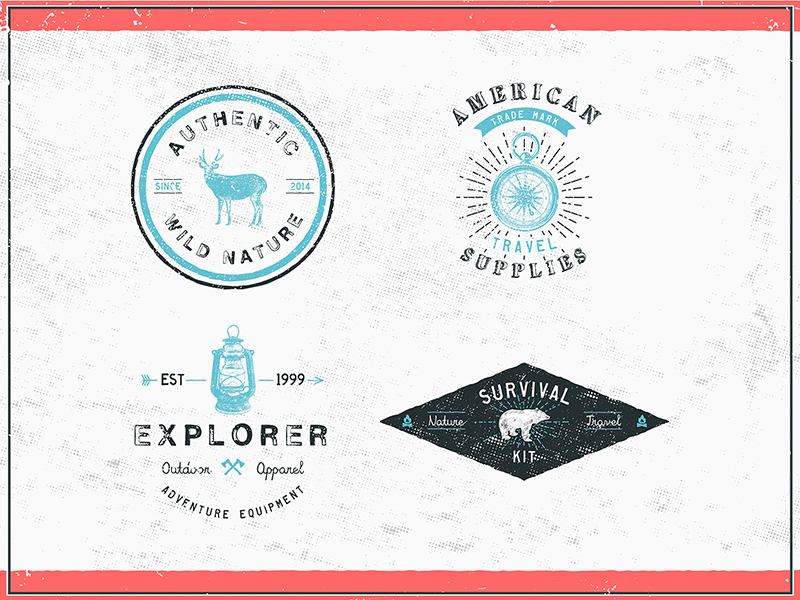 Free Adventure and Travel Shapes & Logos - Dealjumbo.com — Discounted design bundles with extended license! 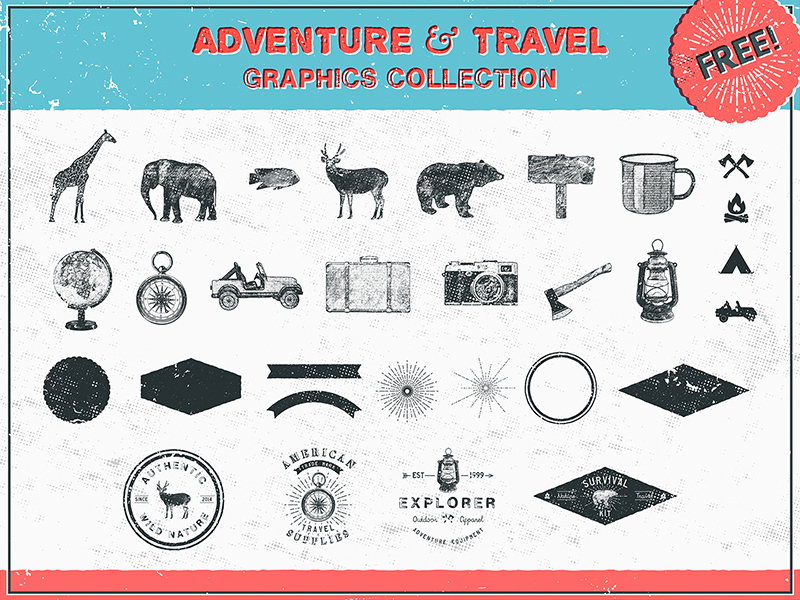 Free Adventure and Travel Graphics Collection by Noa Nvrro. 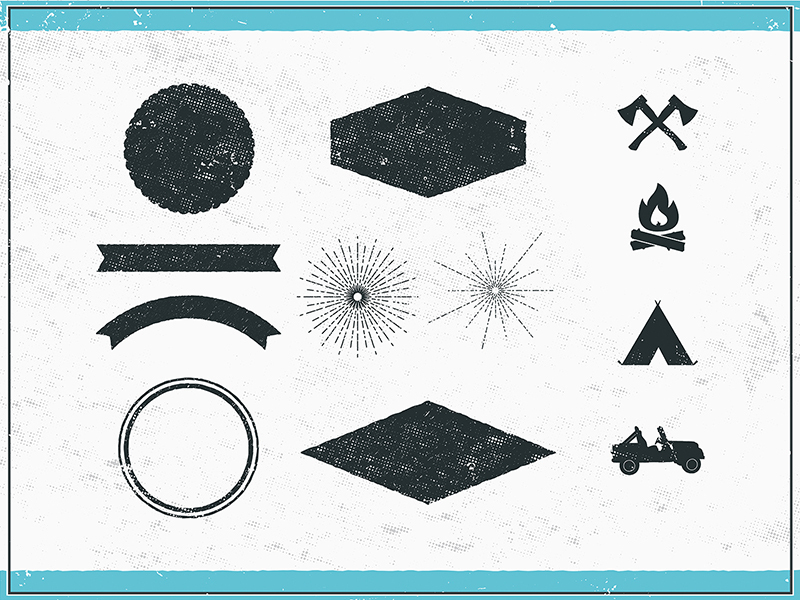 26 Free graphics (vector shapes, dividers, sunbursts and icons) for use in both personal and commercial projects. Attribution is not required but appreciated -just don’t resell, sublicense or redistribute the file on its own. You also get 4 editable logo templates easy to customize. 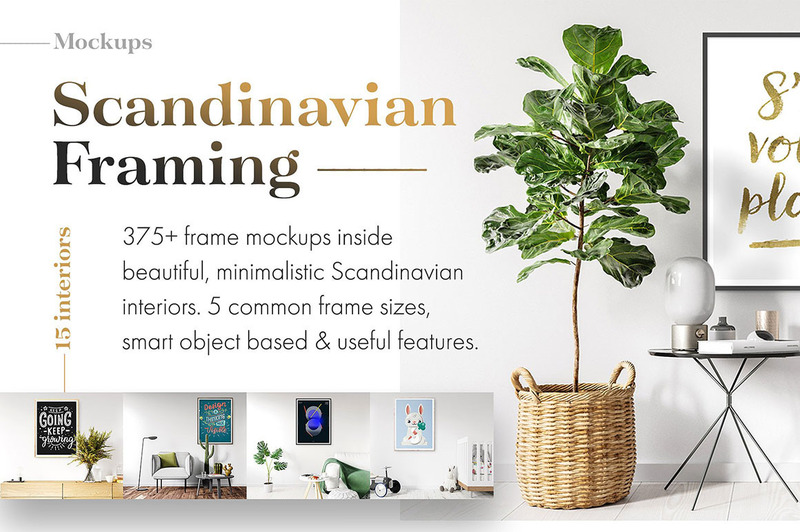 BONUS: This pack contents two textures samples for your designs. 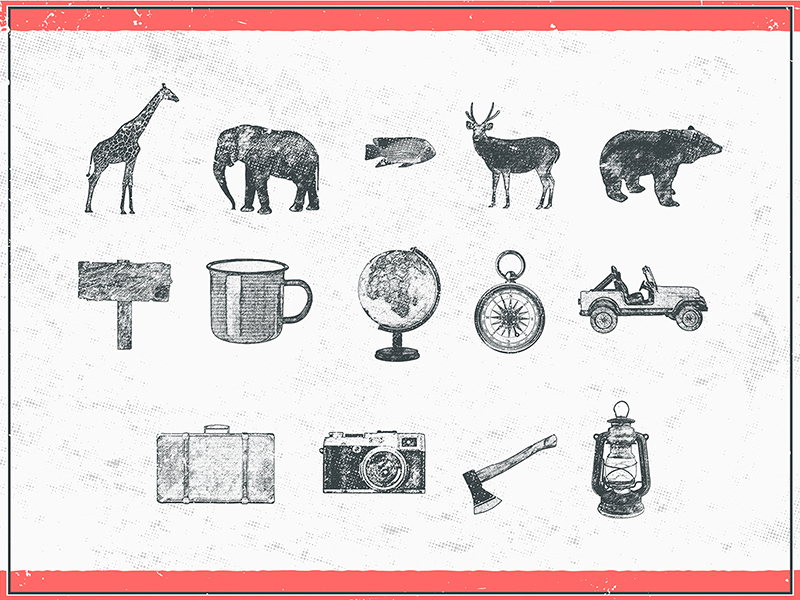 You can get the entire pack 20 Grunge and Halftone Textures Collection.